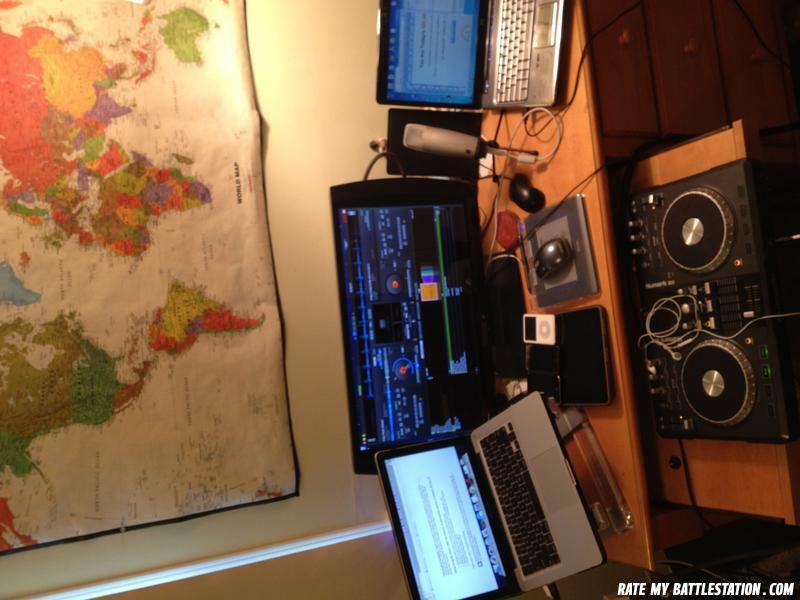 macbook pro 13'', 24'' 3d sony tv, 17'' dv6 pavillion laptop, idj3 mixer, ipad 16gb, ipod touch 4g, ipod touch 3g, iphone 4s, teac nxt speakers, ipod video, samson condensor mic, and some tablet. this is the wrong map. Earth is flat! Cool, I want my workplace nailed to the wall too! Foolz turn their head, I turn my computer. You spent all that money and ... VirtualDj. Megan fox: did what hurt? Me: when ur aged face wasn't good enough for the new transformers movie?